At 316 pages it is our biggest catalogue to date featuring a comprehensive range of products from well established manufacturers. We offer a full range of motorsports equipment as well as many high quality accessories for high-performance applications, special vehicles and classic cars. Our catalogue is available in German only, but we are always at hand for any question, additional information or support you may require. Please do not hesitate to contact us for assistance in order to find the best product for your application. We are looking forward to hearing from you and wish you a successful motorsport season! 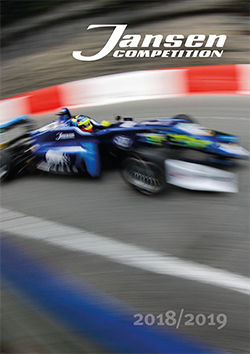 Click here for the Jansen Competition Catalogue 2018/2019.